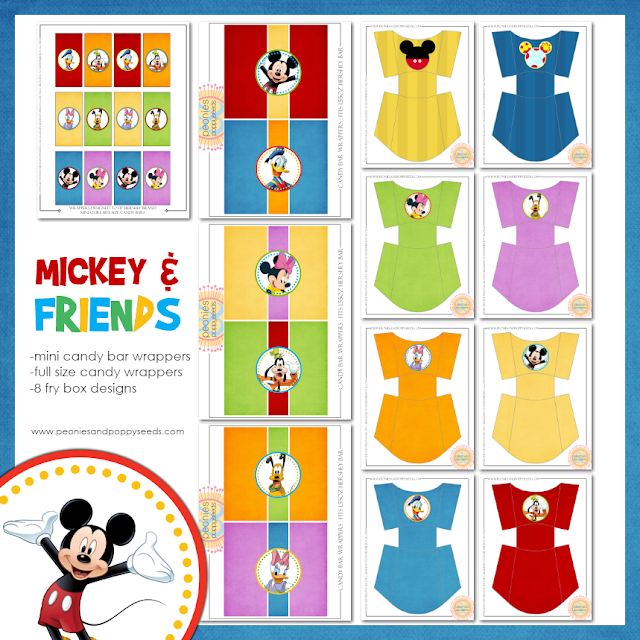 This Mickey & Friends download includes 8 fry box designs, 6 full size candy bar wrapper designs, and 6 mini candy bar wrapper designs. Of course, you can use these fun printables any way you like. ;) Just remember to send us some pics of your party! As always, printables are free for personal, private, non-commercial use only. Enjoy!